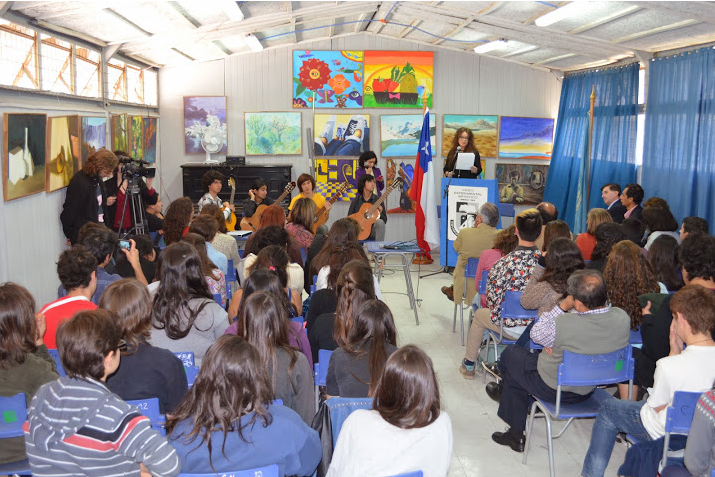 Sarah Brightman recently visited the Liceo Experimential Artistico (Experimental Arts School) in Chile where she encouraged students to pursue their dreams with all of their hearts and minds. The visit took place due to a joint coordination between UNESCO, for which Sarah is proud to be an Artist for Peace Ambassador, and the Chilean Council of Culture and the Arts. Whilst on this visit, Sarah spoke to students about her upcoming trip to the International Space Station (ISS) and highlighted the importance of education, sustainability and pursuing their dreams.